Search through our directory of Licensed SSPS Practitioners to find someone in your local area. All of our Licensed Practitioners are trained to effectively conduct interpretation sessions and provide Striving Styles training workshops in a variety of applications. You can also search for a Striving Styles Licensed Practitioner by their areas of specialization: i.e. Leadership Development, Organizational Development; Selection and Retention, Coaching, Life Coaching, Psychotherapy, Education and much more. 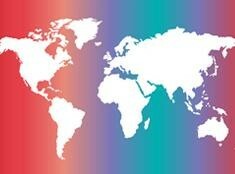 No matter where in the world you are, a SSPS Practitioner can help you!